Khadi Sales Double: Modi, Saying khadi sales had doubled over one year, Prime Minister Narendra Modi on Sunday again urged people to purchase khadi products. New Delhi: Saying khadi sales had doubled over one year, Prime Minister Narendra Modi on Sunday again urged people to purchase khadi products. Pointing out that there would be a month-long discount on khadi products from October 2, he said the income from handloom and khadi sales go to the poor weavers or their widows. "So I urge you all to give space to khadi in your homes this Diwali," the prime minister said in his Mann Ki Baat address on All India Radio. "It gives me great pleasure to announce that khadi sales have doubled over one year," he added, thanking people for having responded generously to a similar appeal he made last year. 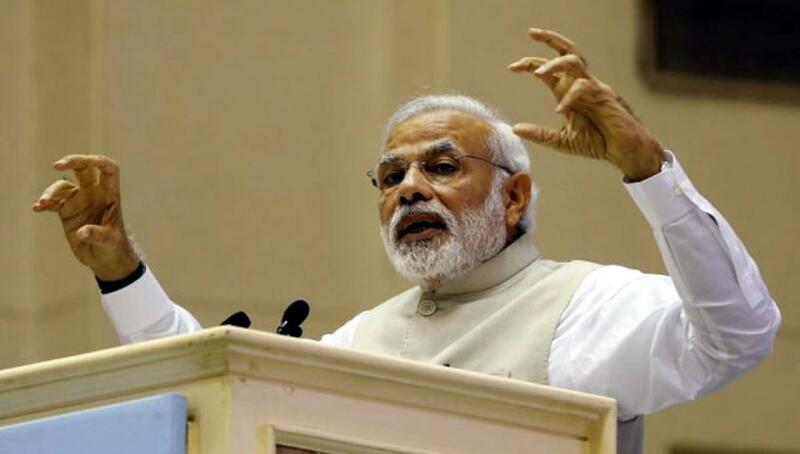 Modi also announced that over three million families had surrendered their cooking gas subsidy following his call. "Over 30 lakh families have surrendered their LPG subsidy, and not just the rich. Most are from the lower middle and middle classes like retired teachers, pensioners," he said. "This is nothing but proof of that a silent revolution is on," he added.